“An engagement photo with classic car.” I often ask my couples about their ideas for the engagement session. I want the shoot to be original, fun, and most of all, to reflect something authentic to the couple. We spend quite a bit of time thinking about places or concepts that are important to their relationship. In this case, Michelle and Mark brought their wheels to our engagement shoot. 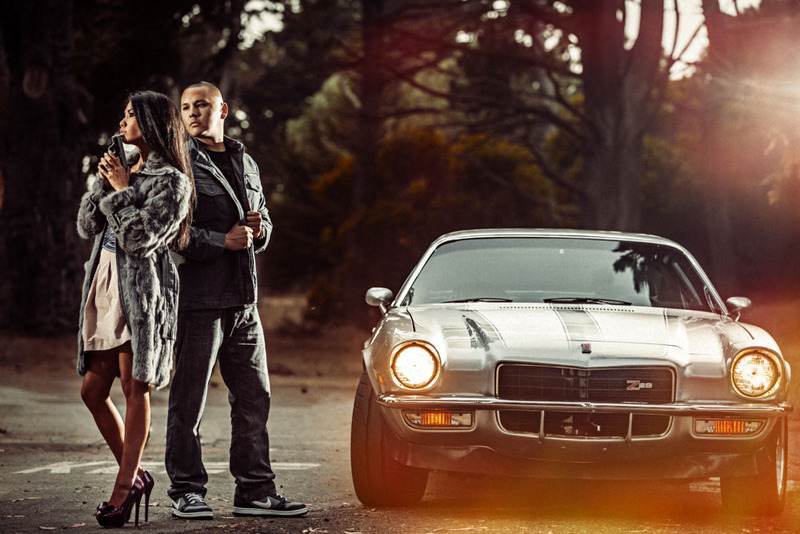 They wanted to create an engagement photo with classic car. We found a secluded spot in Golden Gate Park for our shoot. Then, we went at it Mr. and Mrs. Smith style, and this happened. PreviousPrevious post:A Dog Day AfternoonNextNext post:Excited for a Colorful Year!